The Arete Prep Lunch Program is managed and distributed by our Parent Service Organization volunteers with all the profits going directly back to the Parent Service Organization. 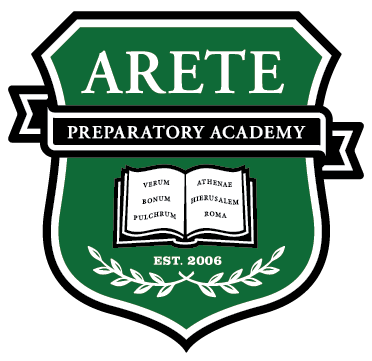 Arete Preparatory Academy has partnered with Boonli to provide a secure, fast, and easy online ordering system that allows parents to view our lunch menu, order, prepay and manage student lunches on the web. This program is open to all students, faculty and staff at Arete Prep. PSO Coordinators: Kimberly Bellomy —AretePrepLunch@outlook.com. Student Profile: While registering you will be asked to create a student(s) profile. On the profile page (3rd page in registering) there is a drop down for LOCATION. Your student’s location is their Grade/Section. For example, if your student’s Grade/Section is 6C, you will highlight the drop down that reads “6C/*/6C/1st Lunch Session”. Your student should know their Grade/Section. Sections were first assigned at Open House on Aug. 4th. Create a profile for each of your students. ***If your student’s section changes within the year you must come back and update the profile. Click Order at the top of Nav Bar & go to: The month in which you would like to order. Click the Order link on the calendar to begin –First Date is: August 13, 2018. Please note there will not be lunch service for the first week of school. Sign in with your username & password – do not create a new account if you forgot your password or username, just click on forgot password or forgot username. Once signed in, the system will take you to your account profile where you MUST ADD YOUR STUDENT’S CORRECT LOCATION. If the correct location is not chosen, your student may not receive their lunch. The location is the student’s grade and section. For example, if your child is in 9B then you must highlight the drop down that reads “9B/*/9B/2nd Lunch Session”. Once highlighted, click update profile. Do this for each student. ***If your student changes sections within the school year, please remember to update the profile. If a student has graduated, select their name & click “remove profile”. Once all profiles are updated – Click on the Order link to begin ordering. Please note there will not be lunch service the first two weeks of school. FOOD or POLICY (Missed/Late Orders, Credits, and Changes/Cancellations): email AretePrepLunch@outlook.com and a parent volunteer will respond within one week. Due to a shortage in volunteers for the lunch program, we cannot respond as quickly as we would like. If you are interested in volunteering, please e-mail aretepreplunch@outlook.com. We cannot run this program without volunteers to help serve lunches. Sign up today! TECHNICAL SUPPORT (help navigating the site): email support@boonli.com. Boonli does not support Internet Explorer browsers 8, 9, or 10. It is recommended to use Google Chrome, Safari, or Mozilla Fox. Changes or additional orders: Once your payment is recorded, you will be able to order/make changes providing the ordering period is still open. ****ANNUAL REGISTRATION FEE: A $10.00 fee is charged with your first order only, so that we can offer our lunch program online. Rolling Lock Out: Ordering for the following week ends WEDNESDAY at midnight. If you miss one week, the remaining weeks are still available for ordering. First lock out is Wednesday, Aug. 8th at 11:59pm for the lunch week of August 13th. The lunch program exists because of you and our parent volunteers. We welcome any additional help and donations. Contact us at AretePrepLunch@outlook.com to contribute to your child’s health and education.